School board members are divided on whether to spend $2.3 million to launch the newcomers high school at a time the district faces deep program cuts and hundreds of layoffs. The district is grappling with a $22.2 million budget gap that could claim 220 jobs. “I totally agree,” added board member Nakima Redmon. She said the district cannot do justice in rolling out a new high school under budget constraints. Spanish newcomers program was expected to be implemented for freshman students at Eastside High School in 2019-20 school year. In each successive year, from school year 2020-21 through 2022-23, the school will expand the program to 10th, 11th, and 12th grades. Arabic and Bengali newcomers program will be put in place for ninth graders at John F. Kennedy High School in the 2020-21 school year. It will be expanded over the next three school years to cover 10th through 12th grades. The district has an existing newcomers program for elementary school students at School 16. School board member Kenneth Simmons suggested implementing the Kennedy program first because it’s cheaper. But others argued the district has spent money on planning and materials for the new high school. “This is something that was already planned. People were hired,” said school board president Oshin Castillo. She said the district has purchased curriculum and materials for the program. “Did we hire staff already?” asked longtime school board member Jonathan Hodges. “Right now, we’re recruiting,” replied superintendent Eileen Shafer. She said 16 people have been given contingency contracts. Capers said the district may have “wasted money” by sending staff to recruit Spanish-speaking teachers in Puerto Rico. 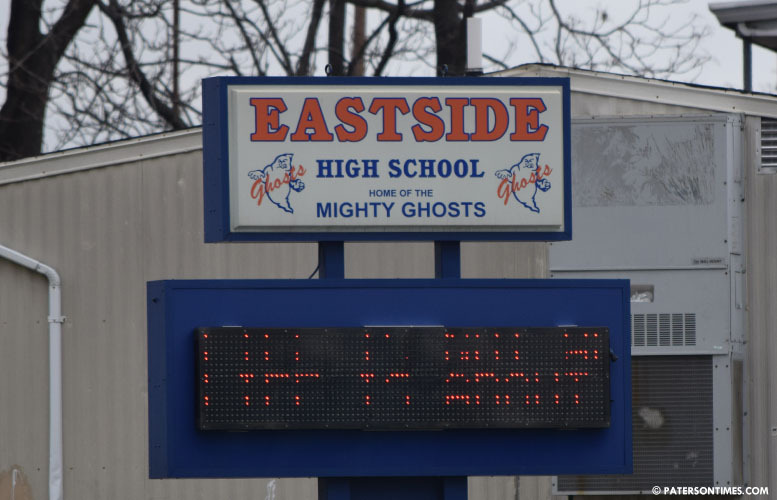 Shafer said there’s a real need to offer the program to newly arrived Spanish-speaking immigrant students at Eastside High School. Hodges sought data on the performance of non-English speaking immigrant students last year. He has yet to receive the information from the superintendent and her staff, he said. He requested the same information again on Wednesday night. School board member Eddy Olivares said he needs to see the data Hodges has requested before making a decision on the newcomers high school. Olivares was not on the Board of Education when the proposal for the new school was presented. The school board has not decided whether to delay or axe the proposed high school. Board members will further discuss the budget and potential cuts on Monday night. Sorry… learn English at home. You can't spend money on High Schools just for Spanish speaking kids…. You have to learn English when you come here…. that's how it's been for Decades! YOU have to bend to Our rules…. WE don't bend to fit yours!